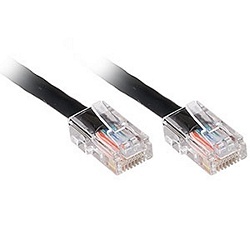 Certified CAT5e patch cables with the smallest of RJ-45 connectors make for the simplest of installations. These boot-less patch cables can provide you with just enough of the flexibility and maneuverability your crowded patch panels require. Suitable for 10/100Mbps Ethernet and many Gigabit over copper applications.